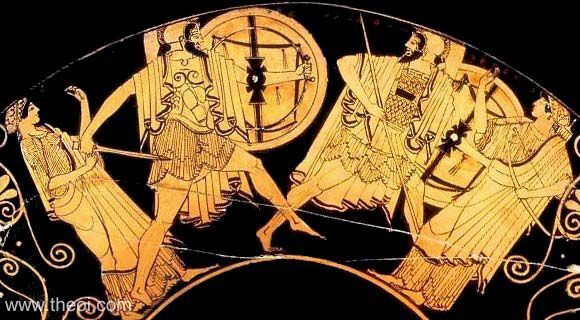 Side A: Paris and Menelaus duel in a scene from Homer's Iliad. Paris is protected by the goddesses Aphrodite and Artemis. Side B: Ajax battles Hector (see other image).